Use the form below to contact tour UNESCO sites in the Valley of kings directly. 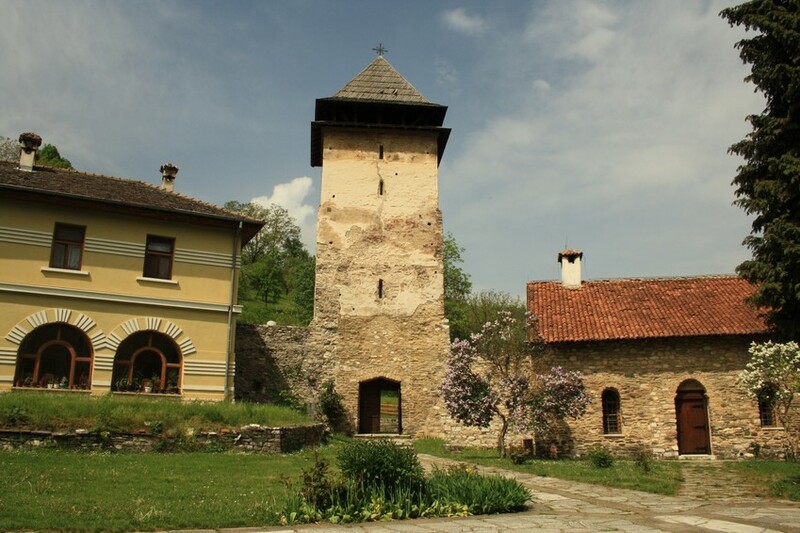 Serbia has several UNESCO sites and four of those are concentrated in West Serbia. If you are UNESCO sites fan this tour will give you plenty of reasons to feel happy. 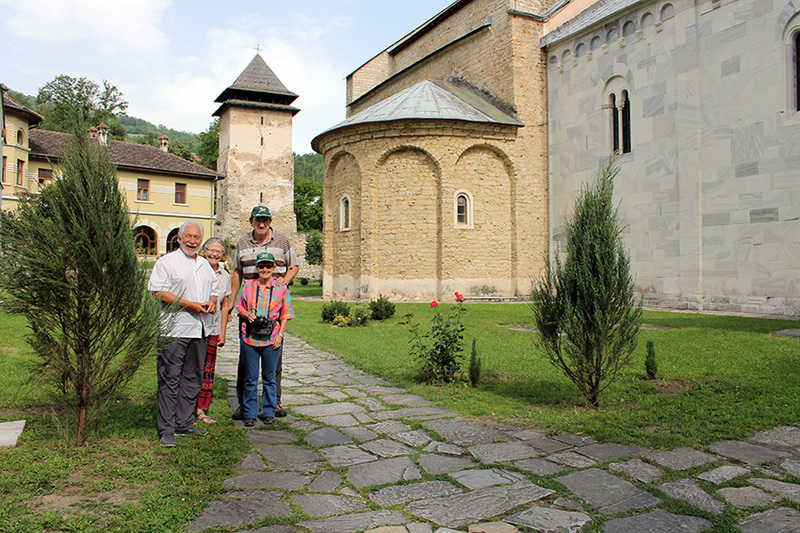 We will visit monasteries Žiča, Studenica, Sopoćani, Đurđevi stupovi (Tracts of St. George) and St. Peter’s and Paul’s church, where only Žiča is not on UNESCO’s list, but it’s not diminishing its beauty and importance. You will meet #YourSerbiaHost at your hotel or other place of your stay in Belgrade and you will continue together in the direction of West Serbia. 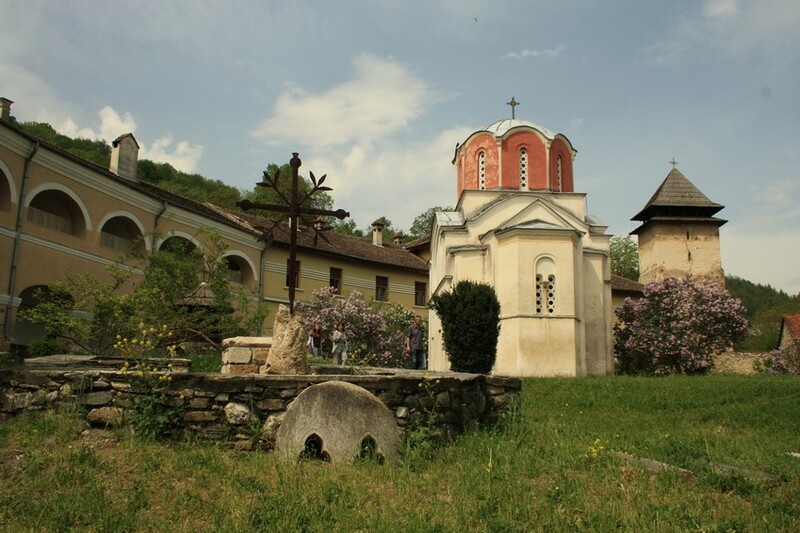 Žiča is first monastery where we’ll stop on this tour, it’s located near town of Kraljevo (Kingstown if translated) and we’ll make a visit to this XIII century seat of Serbian Orthodox bishopric, for which purpose was originally built. 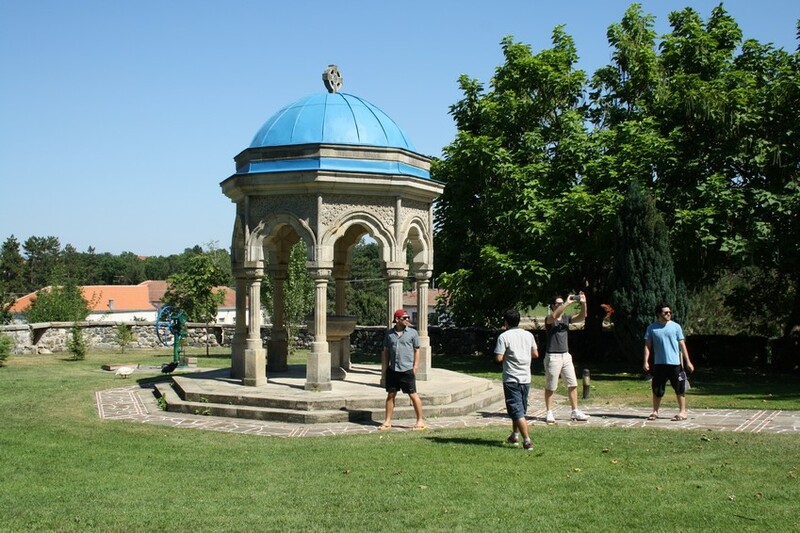 This is where medieval archbishops were residing and where Serbian kings were crowned. After Žiča we will stop by to a nearby village where old restaurant „Kod Mira“ operates for last 200 years, managed by the same family, here we’ll have lunch, enjoying local specialties. 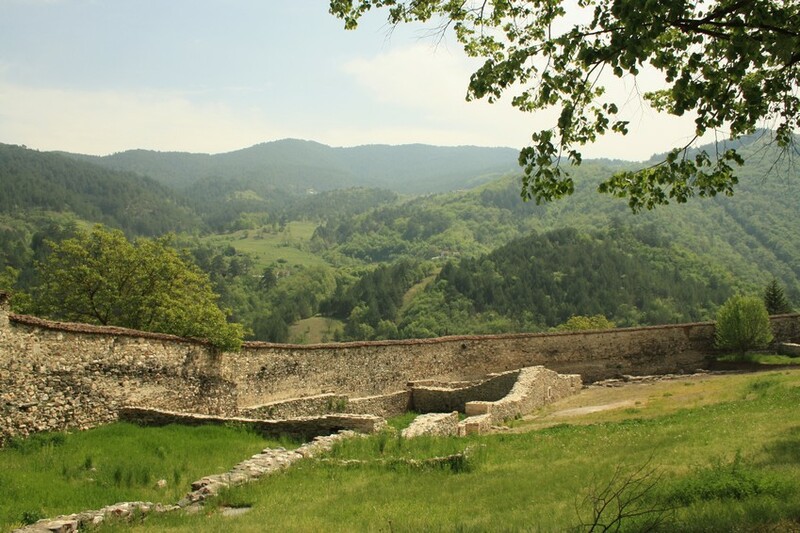 The road continues through the valley of river Ibar, which is known as the Valley of kings, thanks to significant number of endowments established by medieval Serbian rulers. One of those is our next stop. 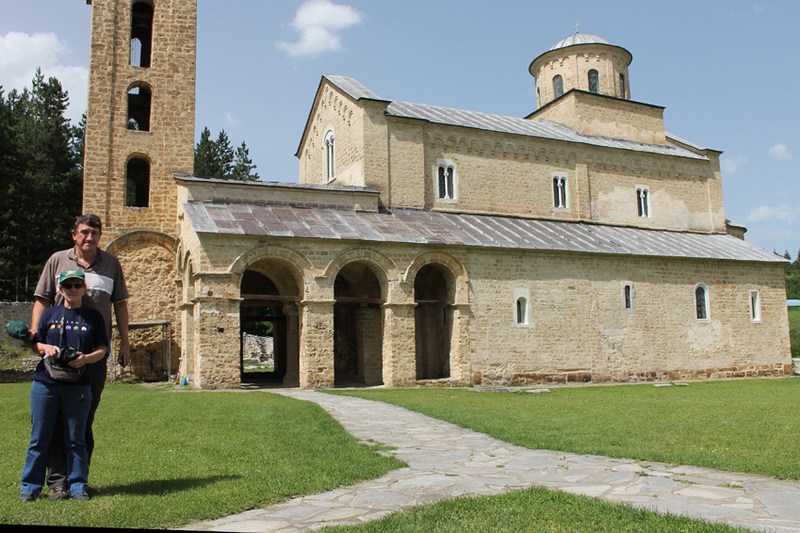 Monastery Studenica from the XII century is considered for the most beautiful Serbian medieval monastery thanks to its special mixture of influences in architecture as well for its wonderful fresco paintings of the interior. 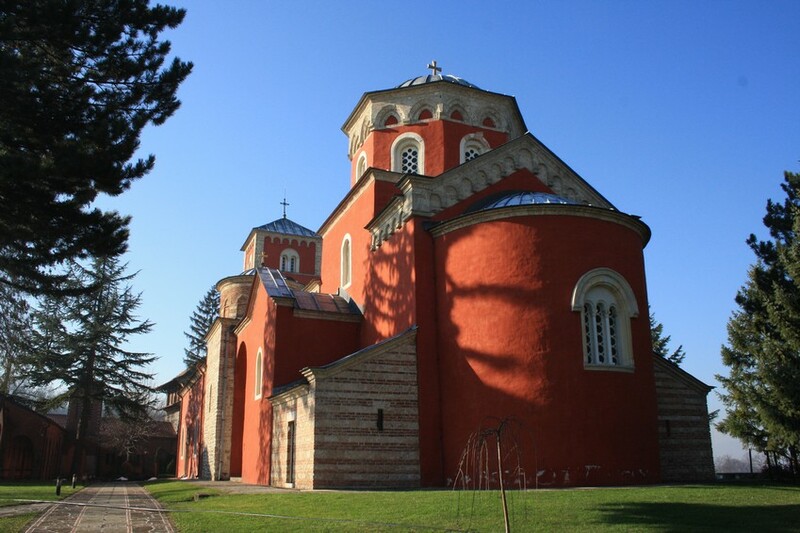 The main church dedicate do the Holly Mother of God is definitely main reason for visiting Studenica and spending time here in its peace and holiness. 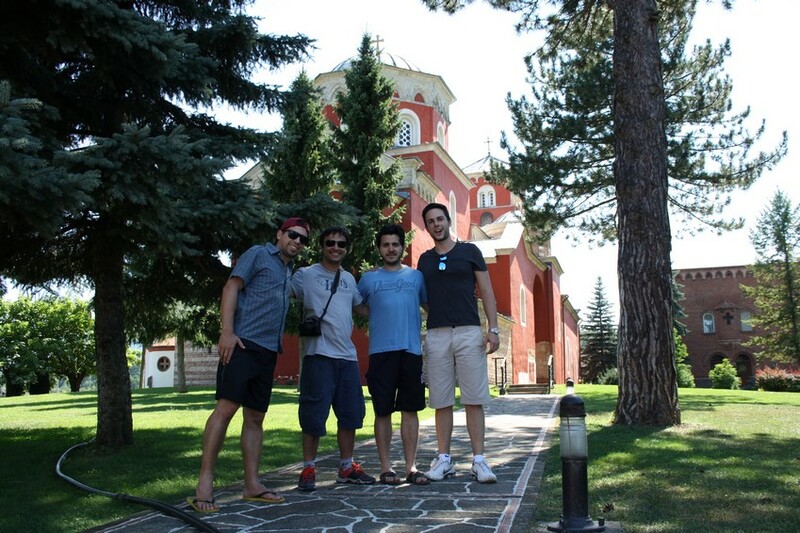 We are also having the overnight here, in monastery’s guesthouse. 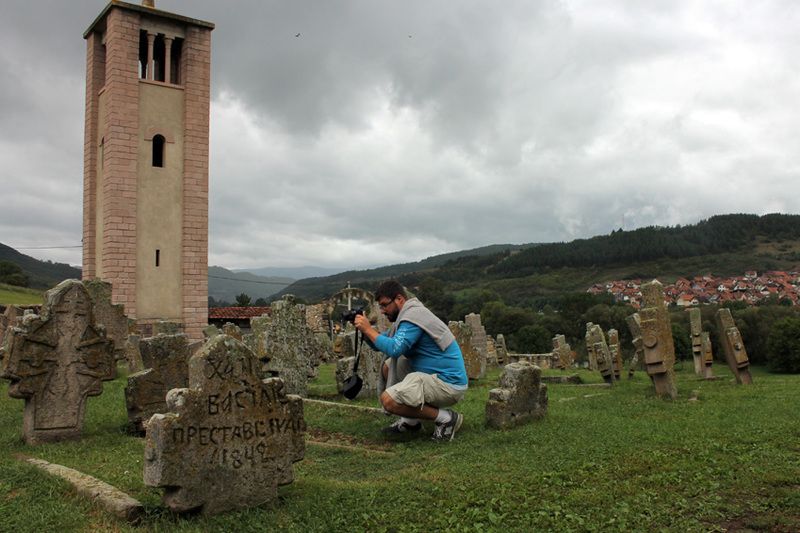 In the morning of the second day we’ll have a monastic breakfast and we’ll continue with our UNESCO sites exploration. 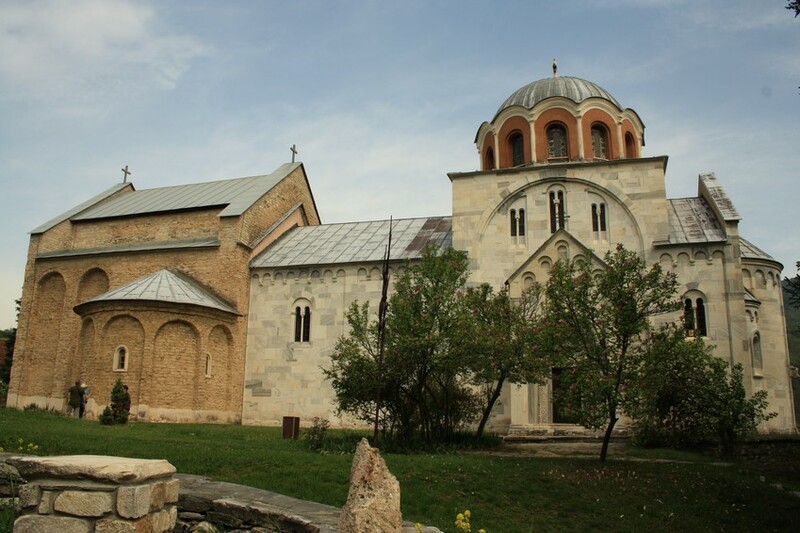 Next one is St. Peter’s and St. Paul’s church in the town of Novi Pazar, dating back from the X century, and there are archaeological findings that it stands on much older Christian basilica. 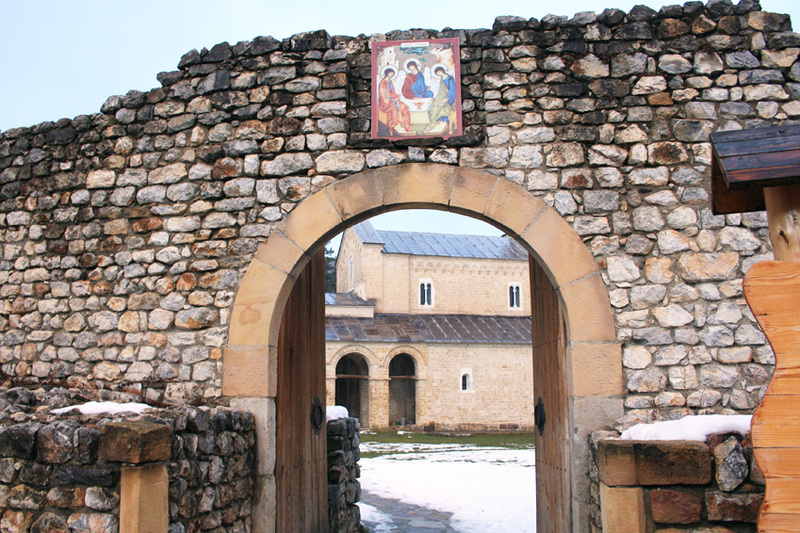 From the church we move on to monastery Đurđevi stupovi (Tracts of St. George), from the XII century, founded by the same founder as Studenica. The position of the monastery is breath taking, it’s located at the peak of a hill, overlooking the whole area above Novi Pazar. It’s no wonder why Turks and Germans used it for shelling the town. 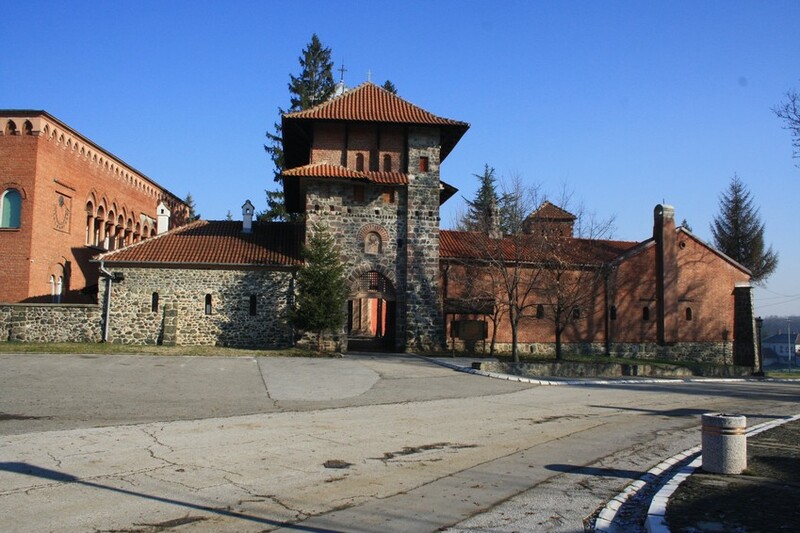 Following destination is monastery Sopoćani from the XIII century, which was built by another Serbian medieval ruler, King Stefan Uroš the First. 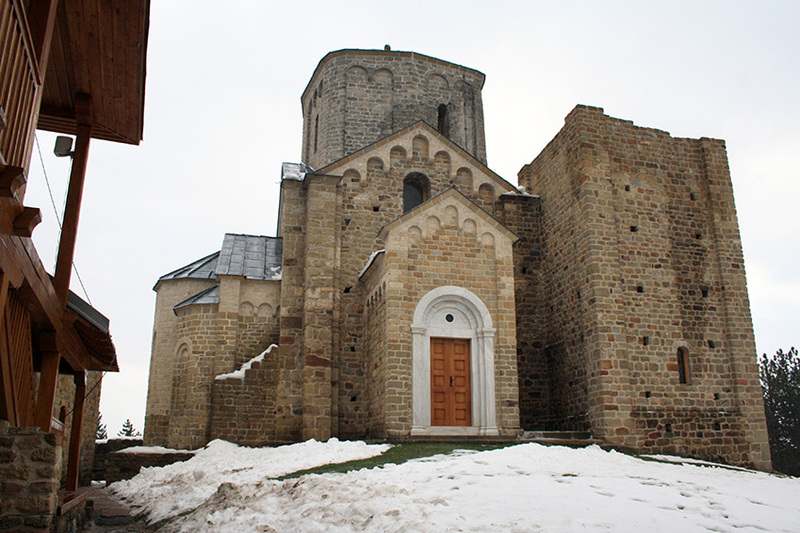 This monastery church was roofless for 200 years and deserted completely, but it haven’t made much harm to beautiful frescoes, which is considered for a true miracle. 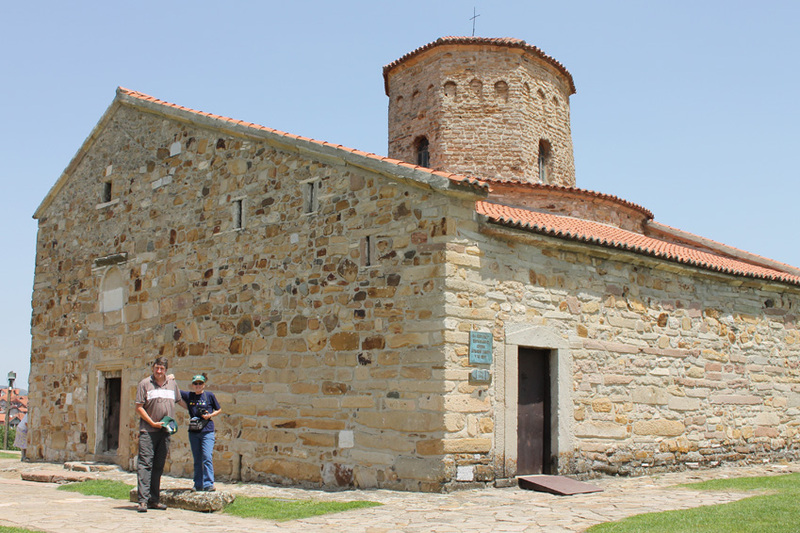 After we finish with visit to these three UNESCO sites, we are stopping by to the place which once was frontier between Byzantine Empire and Serbian Kingdom, where trading between states was taking place. Today at this point there is a local restaurant where we’ll have lunch and break before we start our trip back to Belgrade. On our way back we’ll drive through Novi Pazar, so if you are interested to have a walk through the town’s center and to have a coffee in one of the cafes we will make a short break. We reach Belgrade in the late evening. Driving between tour points, and walking when on sites. Easy for most. Expect plenty of easy walks.